Intelsat Government Solutions purchased COMSAT General, a satellite provider serving government and commercial customers. 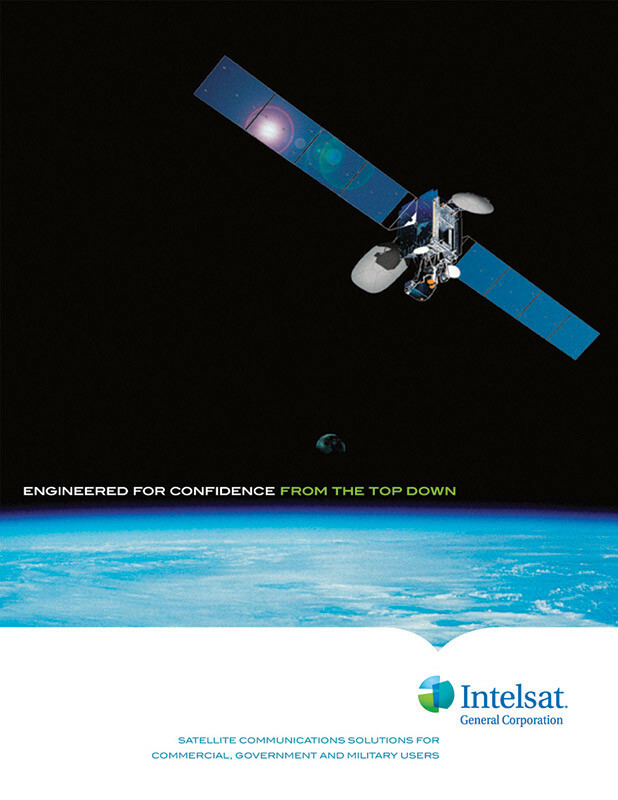 Integrating COMSAT General into Intelsat Government Solutions brought a name change, creating Intelsat General Corporation (Intelsat General). With the merger, however, came a need to find a B2G marketing firm to educate the market about the new satellite powerhouse. 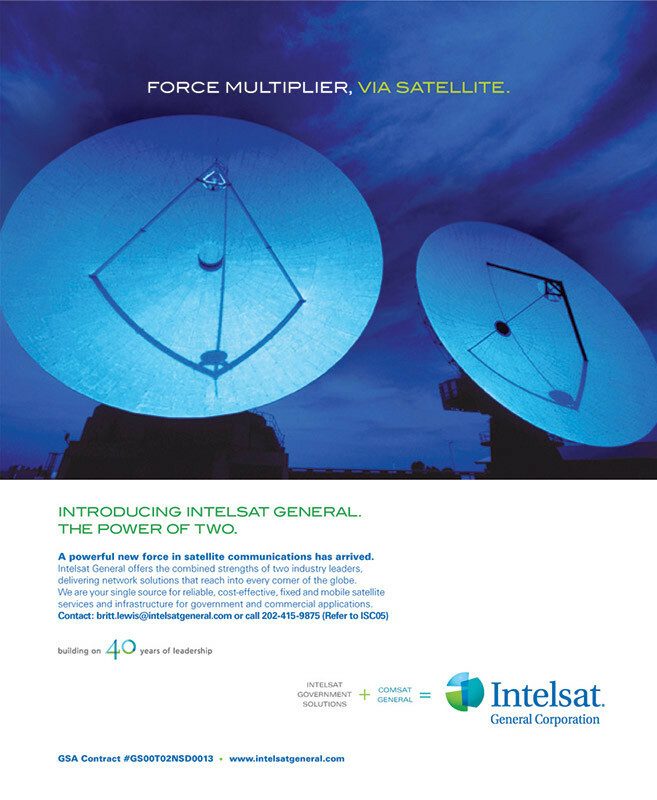 Customers needed to know about Intelsat General’s expanded offerings. To communicate the impact of the acquisition, Intelsat General turned to Boscobel for their merger & acquisition communications. Developing the new branding and messaging. Creating an ad campaign to reinforce the new name, messaging and capabilities. Extending the new brand in print collateral, a new website and trade show graphics. In just three days, Boscobel created and placed an award winning full-page ad on the back cover of Government Executive magazine that announced the merger. The quick turnaround from design to production enabled Boscobel to act on an opportunity to seize a kill space rate for this coveted premium position. Boscobel then created two additional ads to promote new service offerings. 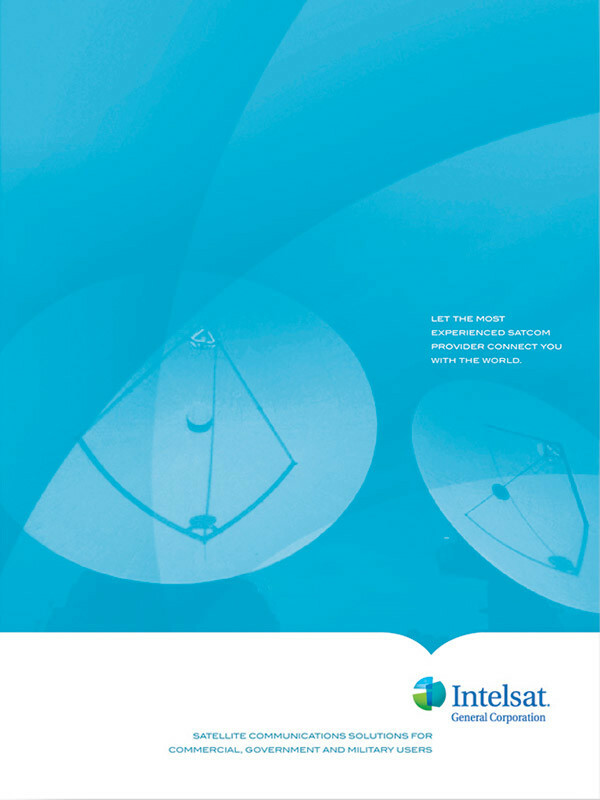 Using the branding established in the ads, Boscobel developed a brochure and pocket folder for Intelsat General that would be used for business development (BD), PR, trade shows, direct mail and employee recruitment. 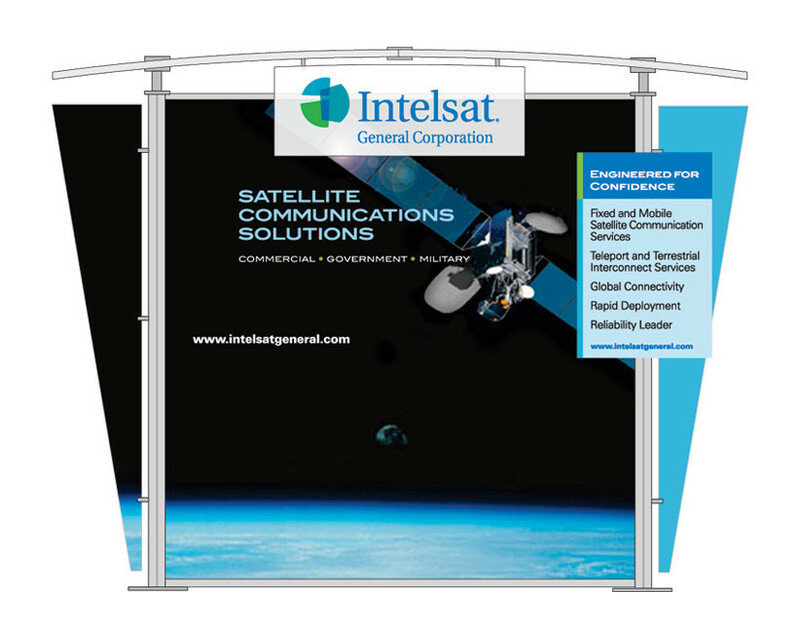 With Boscobel’s development of a modern 10′ × 10′ tradeshow booth, Intelsat General unveiled a new exhibit at MILCOM, the premier international conference for military communications. To help build internal brand awareness, Boscobel designed and created a look and feel for Intelsat General’s intranet and external website. 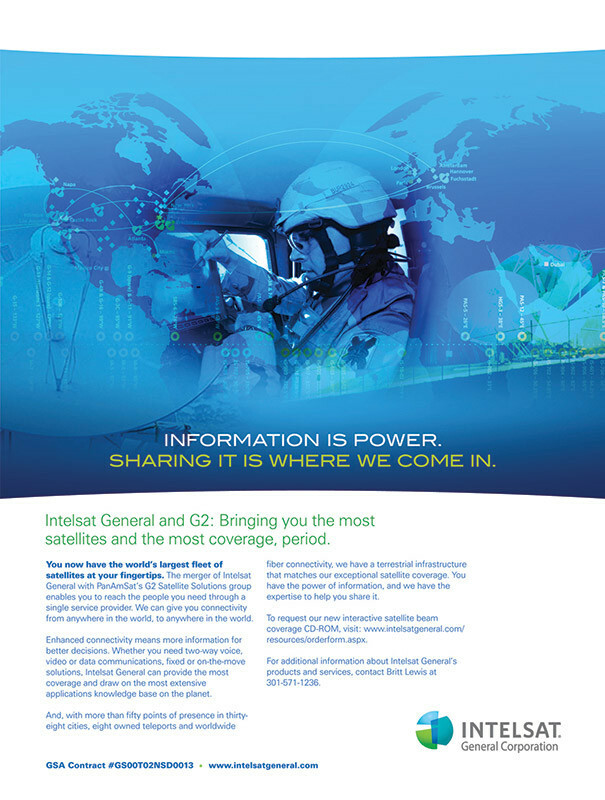 Boscobel used PR to increase visibility of Intelsat General’s executive leadership. Through product, customer and strategic hiring announcements, Boscobel reached out to industry press to convey how corporate changes aligned with Intelsat General’s new footprint in the market. Boscobel also wrote and distributed white papers, customer case studies, past performance and other collateral. 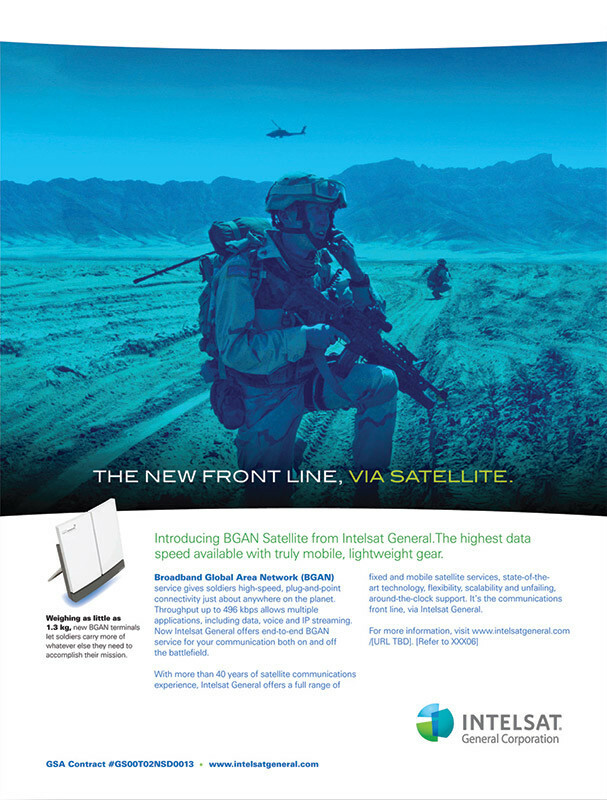 The results of Boscobel’s mergers and acquisitions communications support, a strategic mix of branding efforts, advertising and targeted media buying, can be seen in the Intelsat General of today — a recognized leader in providing satellite solutions to the U.S. government and NATO. Boscobel also earned high praise for its trade show booth design and suite of collateral. The ad campaign resonated not only with the public but also internally — the award winning ads were created into posters and proudly displayed throughout Intelsat General’s offices. We were amazed by the speed and quality of your work! Developing a full-page branding ad in three days, has to be a record!